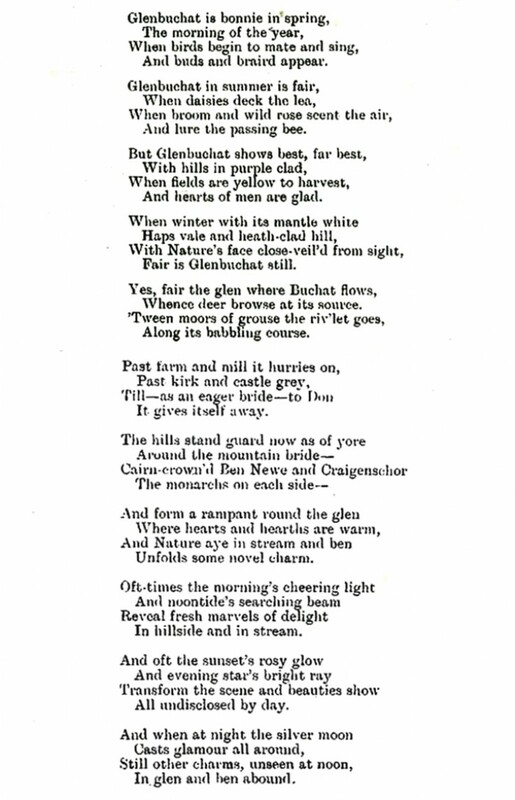 "The appended verses on the pretty parish of Glenbuchat, appeared in Bon-Accord of date 1st April 1909, and were greatly admired by those having connection with the parish. They were said to have been written by a well-known professional gentleman holding an important county appointment, who was too modest to publish or to subscribe his initials to his poetical effusion. To those who know the places and scenes mentioned the poem appeals very strongly indeed. "